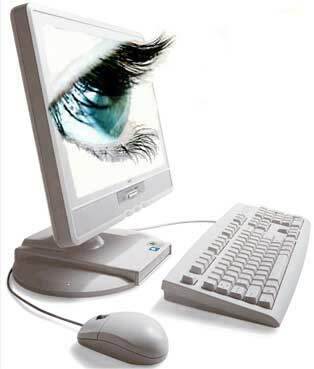 Spyware is software that is usually secretly installed on your system without permission. It tracks your system usage activity and reports it online to another party. Usually the information collected is not private information, but information such as your Web viewing habits and so forth. Still, you did not authorize this activity, and you don't want spyware! Spyware can also "hijack" your system, causing annoying and unwanted popup messages even when you never open your browser. It can also change your default home page and add links to your favorites and desktop. There are numerous spyware removal utilities such as As-Aware and Spybot, and while these are reasonably effective tools at removing spyware they don't always work. Contact us to clean your system of all traces of spyware! Why is it called "Spyware" ? While legitimate adware companies will disclose the nature of data that is collected and transmitted in their privacy statement (linked from our database), there is almost no way for the user to actually control what data is being sent. The fact is that the technology is in theory capable of sending much more than just banner statistics - and this is why many people feel uncomfortable with the idea. You can contact us for a prompt, on-site computer tune-up, which includes spyware removal.